Two unidentified gunmen reportedly opened fire in the city of Macerata, the Radiotelevisione Italiana broadcasting corporation reported. 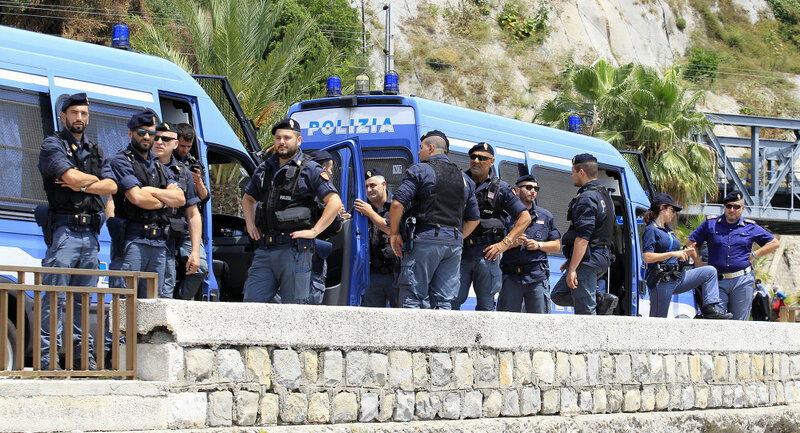 As the report specifies, two gunmen began a drive-by shooting in the center of the Italian city at about 11 a.m. local time (11:00 a.m. GMT), halting public transport in the city and keeping students inside schools for security reasons. According to the local police statement, the four injured were foreigners of African origin. The newspaper la Repubblica newspaper reports that the suspect left a gun in the car and was apprehended in the central square of the city, going on to say that the alleged perpetrator of the attack threw up his hand in fascist salute upon being arrested. — cekici zeynel (@AlterInfo) 3 февраля 2018 г. Following the incident, mayor of the city Romano Carancini urged citizens to stay indoors. "For security reasons, mayor Romano Carancini calls on citizens to remain in their homes, workplaces and schools due to a dangerous situation that has arisen in the city because of shooting Macerata". — Comune di Macerata (@ComuneMacerata) 3 февраля 2018 г. The car used in the attack was reportedly a black Alfa Romeo, the police stated, adding that all those wounded have been taken to a hospital. Due giorni fa lo sciacallo Salvini sfruttava Pamela per parlare di "immigrati che portano la guerra a casa nostra". Oggi la guerra ai neri l'ha fatta un "patriota". — Adil (@unoscribacchino) 3 февраля 2018 г. While foreign media reports call the victims foreigners, some local media outlets specify that they were black immigrants, linking the shooting to an ongoing investigation into the murder of an 18-year-old girl, followed by the detention of a Nigerian man.